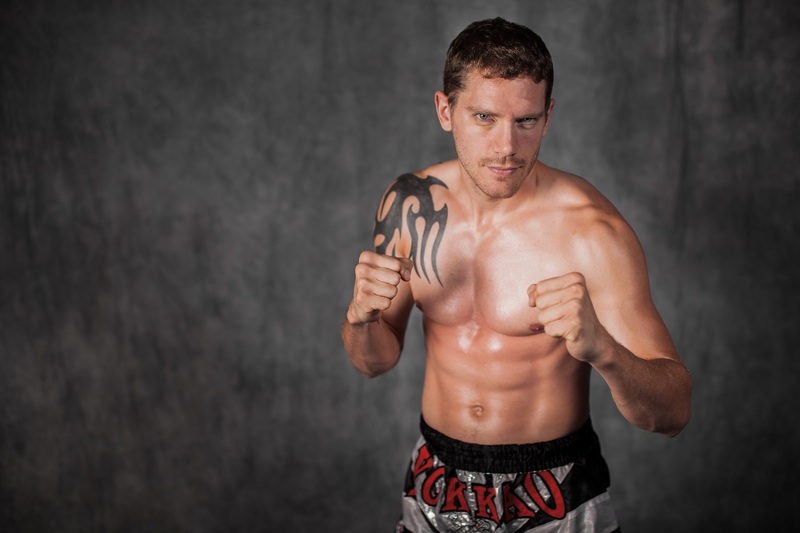 Practitioners of the art know that Muay Thai is a way of life and requires a life time of learning; in this particular case, the biography of Derek Jolivette, it is astounding to see how successful he has become in such a short amount of time. At nineteen years of age, Derek was introduced to Muay Thai through a co-worker. Immediately the sport became a hobby; the hobby turned to a calling; and now is soon to be a full time career. Over the past several years, Derek has overcome obstacles, trained ferociously, and as a result has won the 2013 WKA World Championship. Now, with the help of sponsors, he will focus on becoming a professional fighter and take his skills international. Those who know Derek could tell you that his journey has not been without obstacles. In the fall of 2007, after showing promise with his success in several novice tournaments, Derek sustained an injury which many believed would end his chances at a career in Muay Thai. 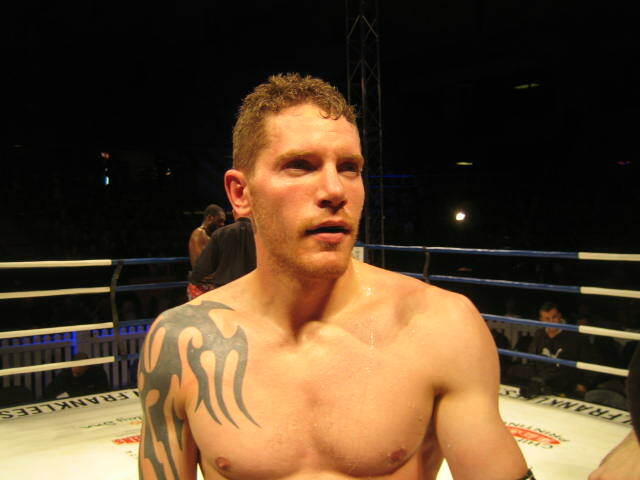 While training for what would have been his first amateur fight, Derek was hospitalized for internal bleeding and compartment syndrome: a condition that has the ability to irreversibly damage muscle tissue and doctors speculated that Derek would never walk properly; never run; and never step into the ring again. He spent several weeks in the hospital and many months on bed rest. It was at this time that Derek realized Muay Thai had become much more than a hobby. He would not be satisfied until he was back in the ring. Hours upon hours each week were dedicated to the gym, strengthening his injured muscles and compensating for the damage done during his injury. Despite all the odds, he made a full recovery. In the fall of 2009, there came an opportunity for Derek to return to Arashi-Do and begin his training once again. Derek received a phone call from someone unexpected. Ryan Timoffee, who would become Derek’s coach, was opening up his own Arashi-Do in Sherwood Park. Derek helped Ryan with getting the gym ready for business and when the doors opened, Derek was the first one out on the floor training. His second chance at a debut in the amateur ring came not long after, in January 2010. 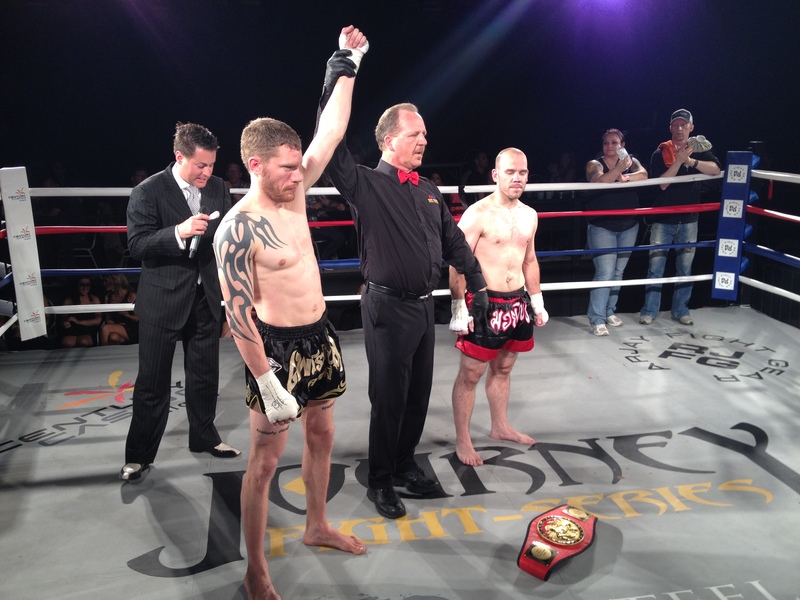 He fought Shane Nielsen of Blue Dragon Martial Arts at the Empire Ballroom in West Edmonton Mall. Even though this fight was not the main event, it definitely stole the show. Here, the crowds received their first taste of Derek’s high intensity style and his skills in the clinch which helped him dominate his opponent and win the fight in a unanimous decision. The fire was ignited and despite his win, Derek was determined to train harder and master both his long and short range game. Training approximately five times a week and even more frequently with fights coming up, Derek more than made up for lost time from his injury. His next fight came in May of 2010 against Paul Rokosh of Frank Lee’s Martial Arts. Despite obvious nerves in the first round, Derek’s stamina gave him an advantage. By the third round, in Derek’s true crowd pleasing manner, he continued to keep an unmatched pace and controlled the outcome of the fight. This bout allowed Derek’s trainers to zone in on minor deficiencies and develop a program that would set him on the path of becoming the well rounded fighter he is today. 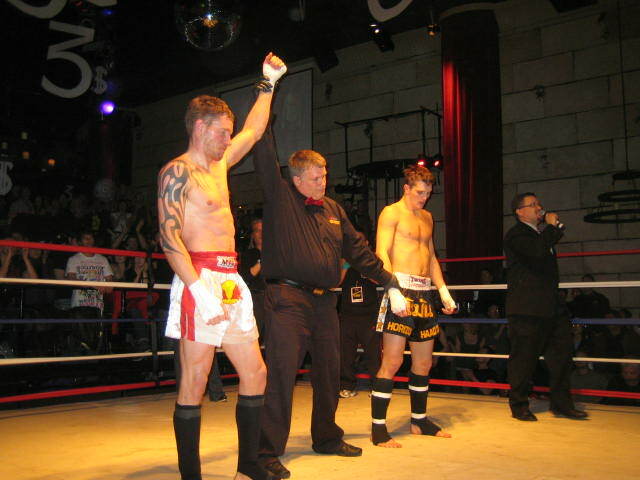 In June of 2010 in Red Deer at Superfights 18, Derek showcased his aggressiveness by defeating his less experienced opponent in a second round knock out. Next, at the CMTC-A Canadian Championships in September 2010, Derek easily defeated two opponents in one night to take home the Canadian title in the B division. Derek’s reputation became known locally and after many failed attempts to line up more fights, it wasn’t until recently, March 2011, that he caught a break. Derek was offered the main event on a ten bout card against a well known and very formidable opponent, D’Arcy Von Hohenbalken of Frank Lee’s. The publicized fight was held at the Edmonton Event Centre and consisted of five two-minute rounds of full Muay Thai. Finally, Derek was able to showcase what sets him apart; his natural instincts in the ring and his unmatched stamina and physicality. Round one and round two of this fight was fairly evenly matched with each opponent experimenting with their repertoire of skills; each showcasing a slightly different style of Muay Thai. Though the crowd may have been slightly anxious, Derek was confident in his corner. Realizing that he may have met his match in the clinch, he switched technique and proved that his fists and shins were just as much of a danger, if not more of a danger than his knees. In round four it was obvious that Derek had the upper hand; he had begun to wear down his opponent while appearing just as fresh and energetic as he did in the first round. At the end of the final round, the decision was indisputable and Derek took home the victory. A video of this match, along with other video and pictures are available on the Derek Jolivette website. 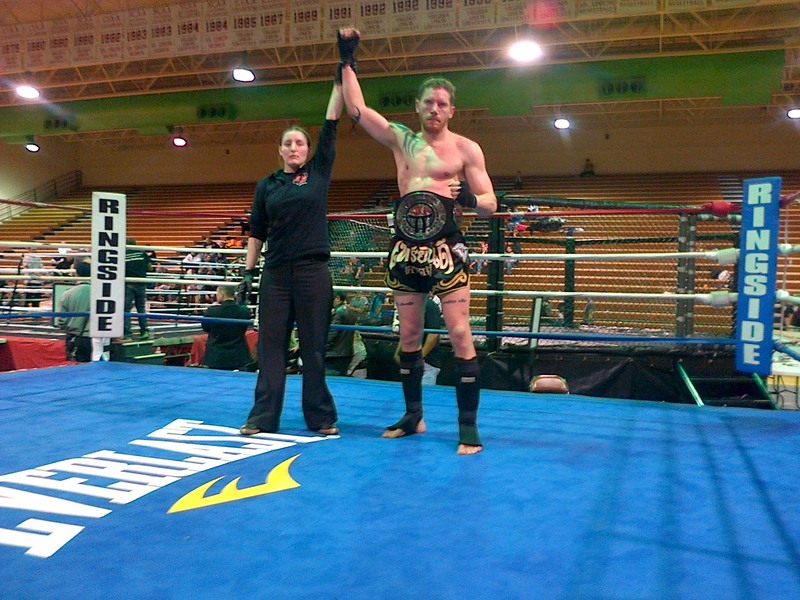 In 2012 Derek won the Canadian Muay Thai Council A Division Championships in Calgary. This tournament featured a Finals bout against Wayne Pokornik from Winnipeg. After a very well-rounded training camp and few injuries to report, Derek beat Wayne in convincing fashion with a knockout to secure the Canadian Title. Winning the Canadian Championship qualified Derek to compete in the biggest tournament of his career so far, the IFMA World Championships in St. Petersburg, Russia in September 2012. With the help of sponsors Derek was able to train in Thailand for an extended period at Sitmonchai gym where Derek now makes his home training camp away from home. After a grueling training camp at Sitmonchai Gym in Thaliand, Derek fought in Russia for the first time on the World Stage. Although Derek was still an amateur fighter, this tournament featured the best professional fighters in the world as their is no Amateur/Professional distinction in Europe and in many other countries. 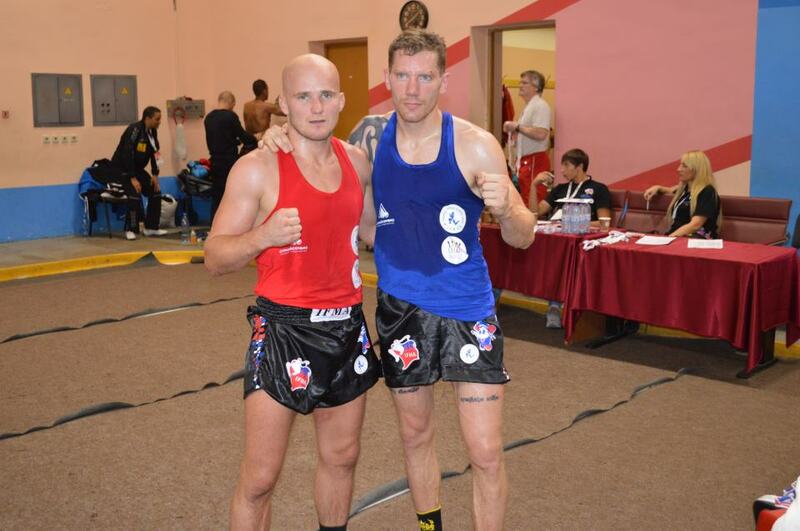 Derek’s first fight was against the current European MuayThai Federation, Baltic Champion and World Professional MuayThai Federation Champion Kevin Renno. This was a very exciting see-saw battle and one of the highlight matches of the division that attracted the attention of the Council-General of the IFMA that saw the very narrow victory go to the far more experienced Kevin Renno. Most recently Derek travelled to Virginia in the spring of 2013 and won the 2013 WKA North American Muay Thai Championships against a very challenging field of competitors. This was a very challenging tournament that saw Derek knockout his opponent Evan Wright in the finals with a devastating knee to the body and bring home the belt along with several bruises, dings and minor battle-inflicted injuries! The WKA North American Championship victory allowed Derek to qualify for the WKA World Championships in Italy in the fall of 2013 where Derek went on to win the Gold Medal at the WKA World Championships in dominating fashion to become the WKA 2013 World Champion in Muay Thai for Canada in the 75kg weight class. An amazing accomplishment after years and years of hard work! This is Derek’s first major world title of many more to come! 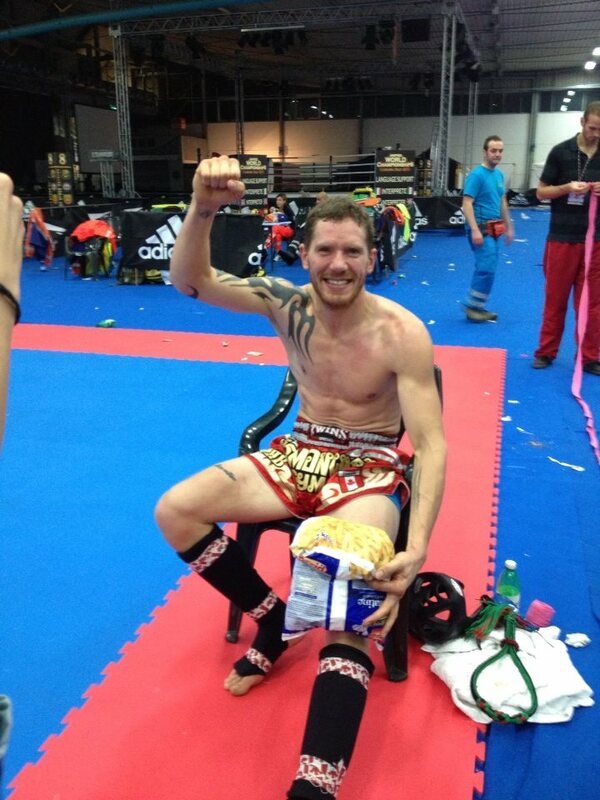 Derek will continue to have success with Muay Thai and has dedicated his life to the sport. Not only is Derek aspiring to have a professional career in the ring but he is also preparing others to step into the ring. He has dedicated more and more of his personal time to Muay Thai. He is actively teaching a women’s Muay Thai fitness class and working with mentally disabled people in the community teaching them Muay Thai twice a week. He also teaches private lessons for a range of professionals on the weekends and is promoting a class for the younger ages. Despite training religiously in the daytime for upcoming fights and instructing and training Muay Thai in the evenings, Derek has managed a close relationship with his family. Derek is a dedicated boyfriend, an adored uncle, a great friend, and a trusted and reliable family member.